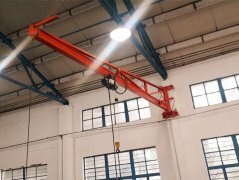 Mobile Jib Crane is a kind of small and medium-sized lifting equipment with the recent development.Its unique structure safe and reliable.With high efficiency energy conservation the provincial time effort and flexible and so on. 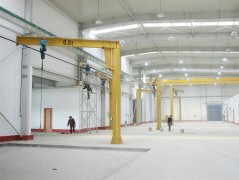 Mobile jib crane is suitable to work in the warehouse, workshop and other fixed working conditions, it can work within the 360 degrees to lift, transport, loading, unloaing the materials, good, cargo, machine pieces, etc, simple structure, operate convenience, turning agile, wide working conditions. 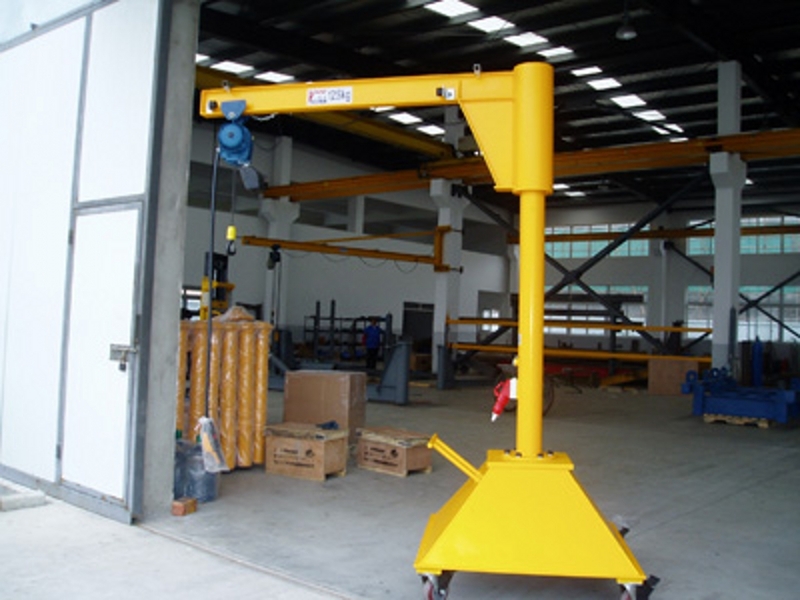 Mobile jib crane is based on floor mounted jib crane, with column, cantilever arm, hoisting mechanism and mobile base with wheels, is a small and medium size lifting equipment, safe, reliable, high efficiency, energy-saving, time-saving and labor-saving and flexible feather, three-dimensional working space. 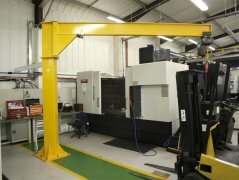 And the Mobile jib crane can operate freely, especially in the short, intensive lifting showing the occasion. 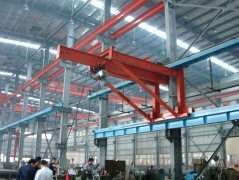 The steel structure of mobile jib crane is strong and built to last, optimized in design to reduce the stresses on your building. Your operators have good control over the load with stepless speed internal control along the runway. Package : Hoist packed by wooden case ,crane packed by woven plastic cloth .